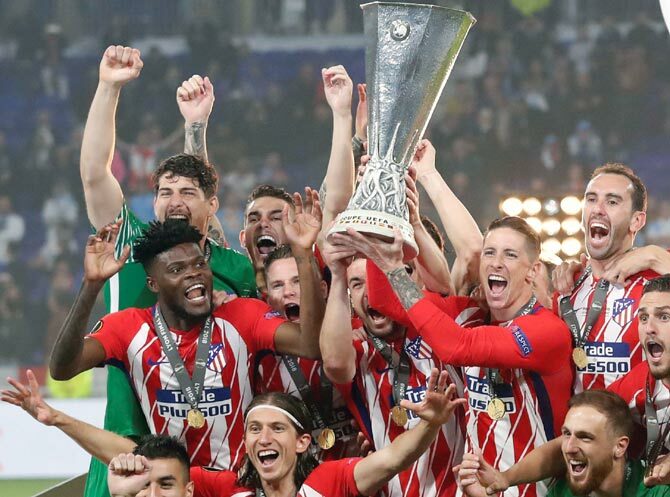 The scoreline mirrored the Spanish side's last Europa League final win over Athletic Bilbao in 2012 and cemented their status as one of the continent's most consistent teams since Argentine coach Diego Simeone transformed their fortunes. 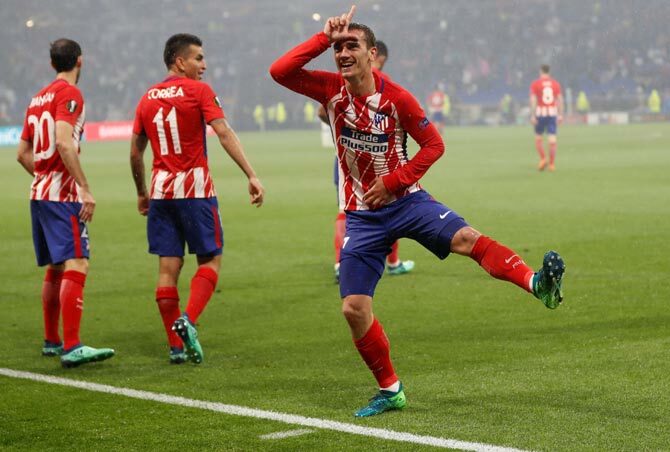 "They are an attacking team they work very well but we focused on our game, which was to defend well, be a tough team and take advantage of their mistakes," Griezmann told reporters. "I left home when I was 14 years old because I wanted to win trophies, this is my second and I hope I can win more." 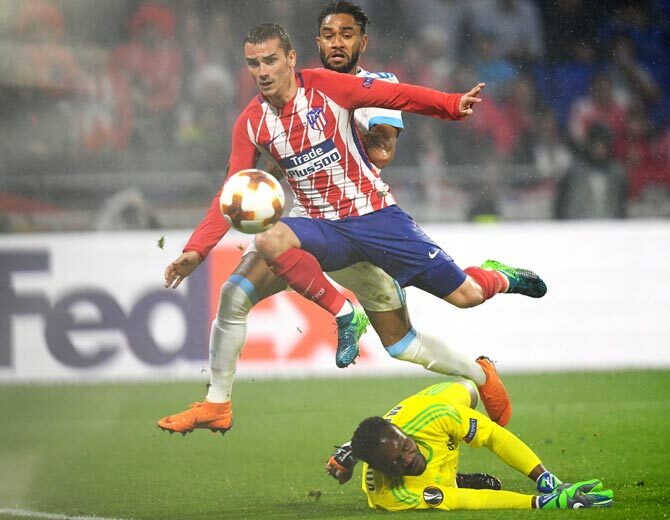 Marseille dominated the opening stages but gifted Atletico the lead when Andre-Frank Zambo Anguissa failed to control goalkeeper Steve Mandanda's pass out and Gabi intercepted before setting Griezmann free to finish neatly in the 21st minute. 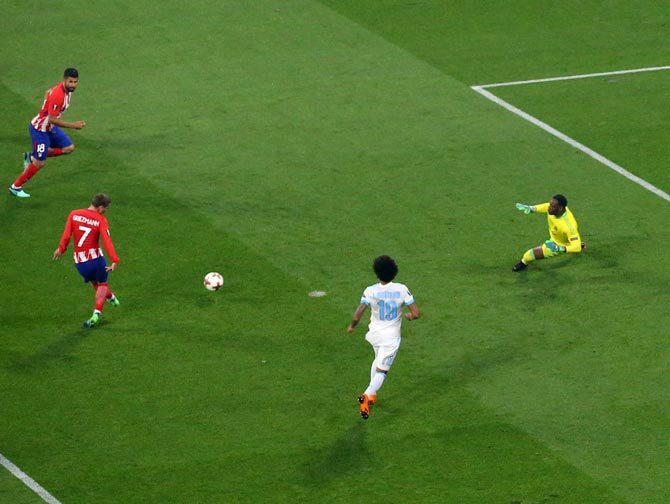 Four minutes after the re-start, Koke ran into a hole in midfield and slipped the ball to Griezmann who deftly dinked it past Mandanda, and Gabi added a late third to confirm Marseille's third defeat in as many finals in the competition. 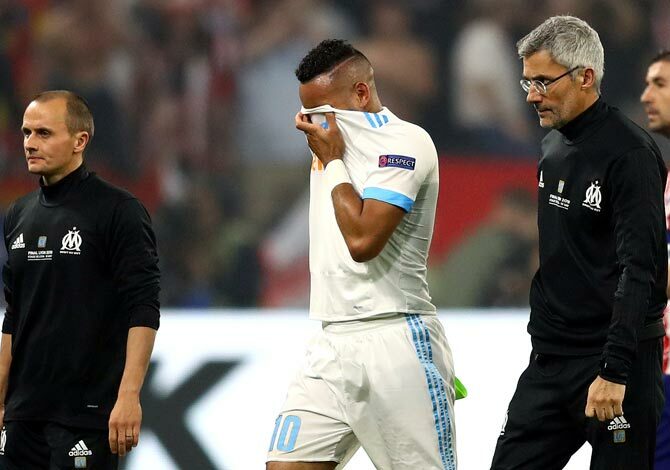 "The score does not reflect the game, the more experienced team won, they know how to play these matches, they play in the Champions League regularly so we should not be ashamed of losing this match," Marseille coach Rudi Garcia said. "Losing Dimitri was obviously a big issue for us. We lost a great player at set-pieces, if there's one part of the game where we could have been dangerous, it would have been set- pieces." 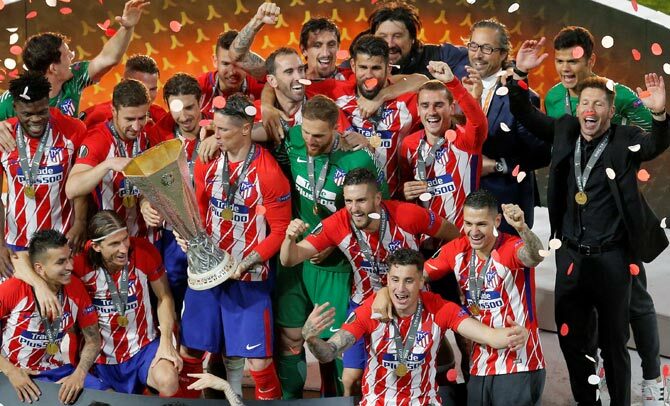 As well as missing out on a first European trophy since winning the Champions League in 1993, Garcia's side squandered an automatic route back into Europe's elite competition. Atletico were happy to sit back in the opening stages and had one half chance which Koke skewed wide but they picked an opportune moment to strike and Griezmann's goal against the run seriously wounded Marseille. The French side looked even more lost when Payet went off and Griezmann's supremely well-taken second goal effectively finished them off. FA Cup: Can Chelsea save their season? Will Mourinho surprise?